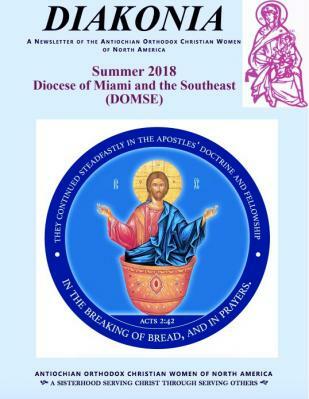 Our Diocese, the Diocese of Miami and the South East (DOMSE), is featured in the latest issue of Diakonia, the Antiochian Women’s quarterly newsletter. To see how Antiochian Women around our Diocese have been “Serving Christ Through Serving Others,” read Diakonia online at Antiochian.org, or, stop by the AW Table in the Parish Hall for a copy. To learn more about the Antiochian Women at St. Ignatius, visit our page or email aw@stignatiusfranklin.org.